This is a loan of with no deposit and no interest. The full amount is paid in 12 monthly installments of £ . This is a loan of with no deposit to pay and 9.9% APR interest. The full amount is paid in monthly installments of . Add enough goods to your basket to qualify for Finance. At the payment stage in Checkout, choose the ‘Pay by Finance’ option. 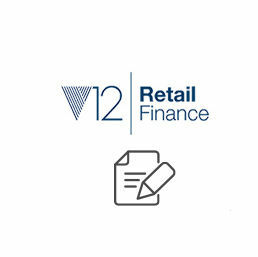 Complete the V12 Retail Finance application form. There's no deposit to pay! 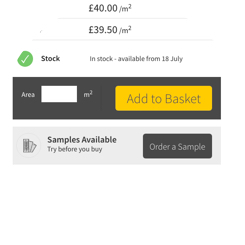 FlooringSupplies.co.uk is a trading name of Keswick Flooring Ltd, a company registered in England and Wales, No. 4431986, VAT No. GB511003721. Registered office: Garsett House, St. Andrew's Hall Plain, Norwich, Norfolk. NR3 1AU. FlooringSupplies.co.uk acts as a credit broker and only offers credit products from Secure Trust Bank PLC, trading as V12 Retail Finance. Our registration number is FRN 758868. Be employed for more than 16 hours a week or self-employed. Unemployed or retired applicants must have a partner in full time employment. Yes. There's a set minimum and maximum on each finance option, so be sure to check your order qualifies. For our standard and 0% finance your order must be between £600 and £7,000. Which products are eligible for standard finance? No. No deposit is required on any of our options! The application form asks for your name, date of birth, 3 year address history, phone and email contact details and income / employment information. If you are accepted you will also need a credit or debit card registered to your name and address as they appear on the application. It takes around 5 minutes to fill out the form and you should get an answer to your application instantly. However in some cases V12 Retail Finance, our finance provider, will need a little more time to look at the application in more detail. We are only able to deliver your goods to the address on your credit agreement (your home address). You will not be able to have goods shipped to another address or collect the goods from us in person. However you can call V12 Retail Finance Underwriting to verify your alternative address. 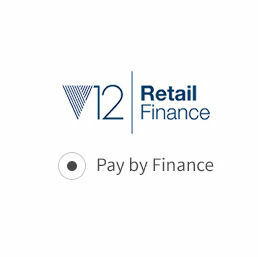 After your application is approved, you will receive an email directly from V12 Retail Finance - our chosen lender - who will outline the next steps to follow to confirm your identity. We will then ready your order for delivery. - Our standard finance can be paid off in full at any time, including the amount of interest which would have been accrued in the full contract. - The 0% offer can simply be paid whenever you're ready, for no extra cost. Does finance affect my ability to return goods? No, returns are still accepted according to our Terms and Conditions via our Customer Services department, who will contact the finance company on your behalf in this situation. If the full order is returned, the credit agreement will be cancelled. If only part of the order is returned, the credit agreement will be adjusted accordingly. * Some sale products may be excluded from finance - please see individual products for details.